2018 Audi A8 – The new 2018 Audi A8 is entering its sixth year without making any big changes. If you expect some features such as Android Auto, Apple CarPlay, and Audi Virtual Cockpit Control, then you must know that these features won’t be available. It seems that the new Audi A8 still uses the old cable interface if you want to connect your mobile phone. While it is true that the new model gives up little in terms of performance, luxury, and comfort, buyers can ensure that it will be equipped with a powerful engine. What is New for 2018 Audi A8? There are some updates available. For example, buyers can expect that 2018 Audi A8 will have some revisions. However, other features remain the same. Read our review here and learn whether you must buy the new Audi A8 or not. So what do you know about 2018 Audi A8? The new model is actually a flagship luxury sedan which comes with a single L-body style. It is available in two trim levels in which each trim level corresponds to a different engine. The base model is the A8 L 3.0T which is equipped with a supercharged 3.0-liter V6 engine which can deliver 333 horsepower. 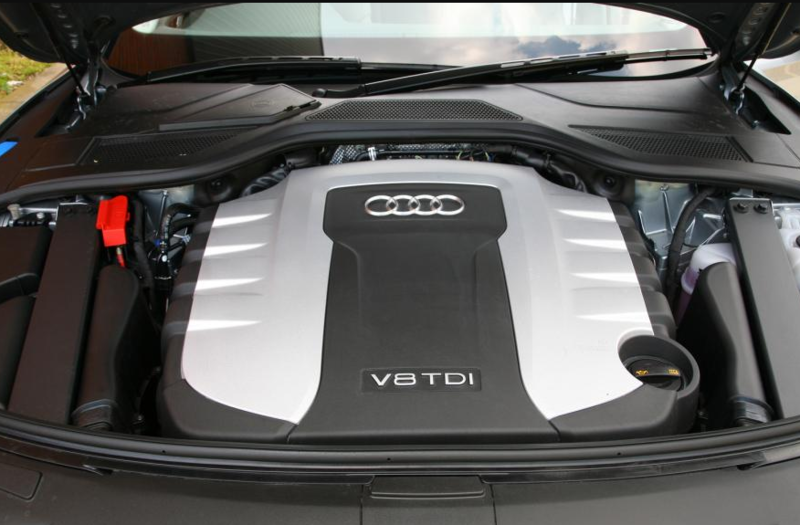 Then next choice is the A8 L 4.0T which comes with a turbocharged 4.0-liter V8 engine for 450 horsepower. All Audi A8 models come with all-wheel drive and an eight-speed automatic transmission. The base model comes with some standard features such as an adaptive air suspension, 19-inch wheels, a sunroof, LED headlights, parking sensors, power folding mirrors, and auto dimming mirrors. Inside of the car, you can expect other features such as extended leather interior trim, leather upholstery, and four-zone automatic climate control. If you think that the base model is not good enough, then you can consider choosing the A8 L 4.0T which has more luxury features added. This version adds 20-inch wheels, the V8 engine which is more powerful, a panoramic sunroof, sport-themed styling tweaks, a heated steering wheel, a head-up display, and a top-view parking camera. There is also a black Optic package which is available on both trim levels. The black optic package adds a choice of 21-inch or 20-inch wheels. Meanwhile, the base model can be specified with the executive package which adds heated steering wheels, trunk pass through, and head up display. 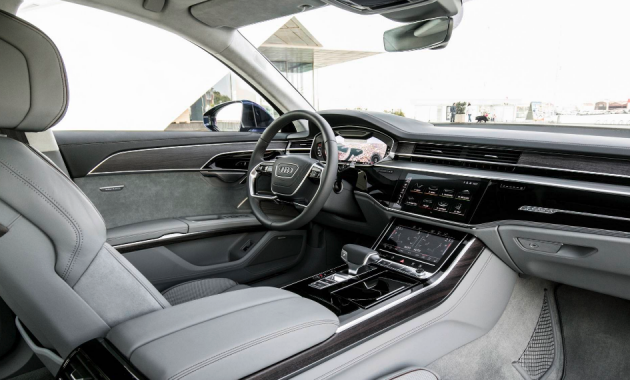 The new Audi A8 comes with a calm and quiet cabin. In addition, the car is also equipped with well-shaped seats which can add comfort while driving. It also offers a smooth ride quality too. There is no doubt that the interior is one of those key points offered by Audi A8. It comes with amenities and cabin space that are excellent. The interior of the car has a modern and austere design which is sure to please passengers. The new model starts at $90,600. As for its release date, 2018 Audi A8 is expected to be available in 2019.